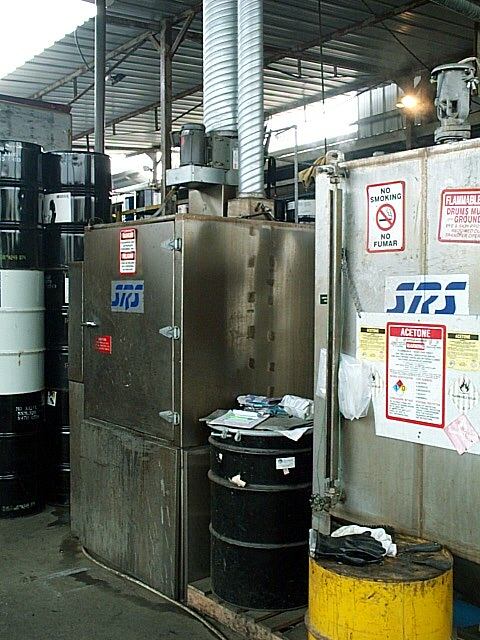 A Real SRS Customer Story – A printing company came to SRS DE looking for a drum washer to wash the interior and exterior of their open top 5 gallon and 200 liter drums contaminated with printer inks. 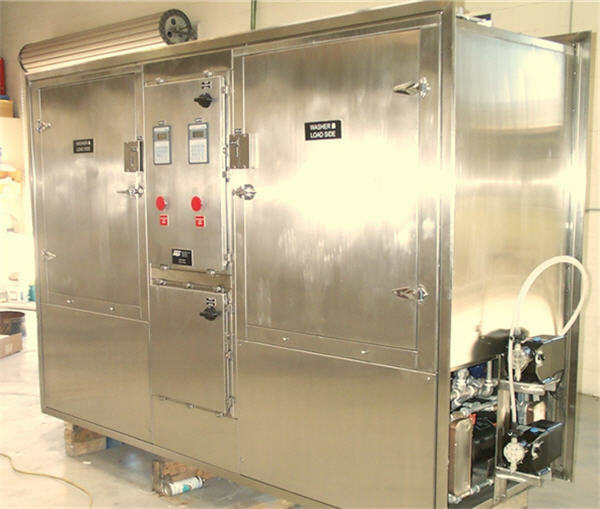 They were washing about 25 drums per 8 hour day using a solvent blend of alcohol, ester, and hydrocarbon. 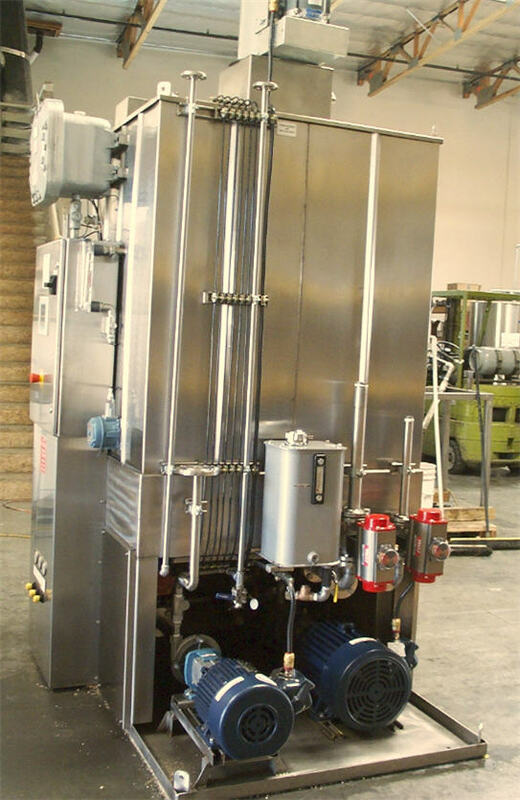 SRS designed a DW-2 Series washer designed to eliminate the manual washing of printing inks. 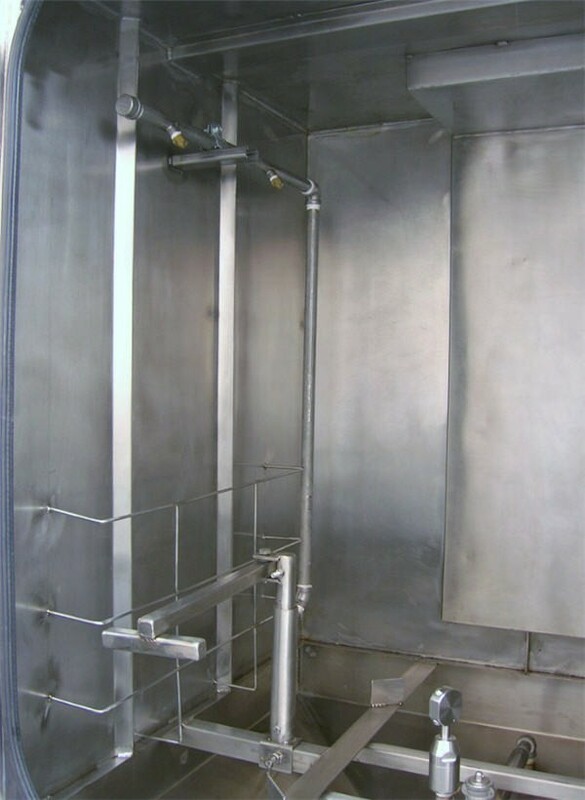 This stainless steel constructed unit was electric rated Zone 0 (Explosion Proof). 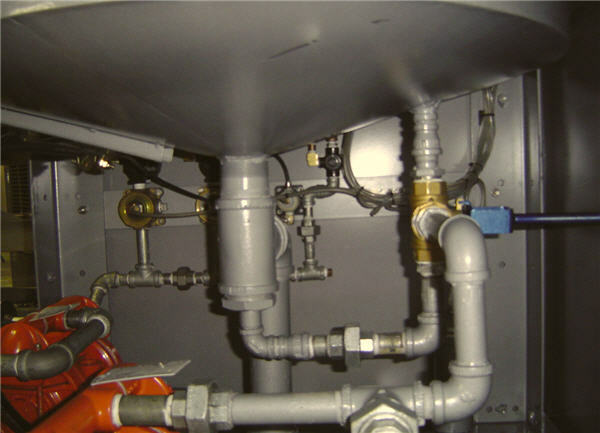 The washer was designed with a 5 gallon pail adapter and was able to wash and rinse utilizing customer supplied 200 liter drums. 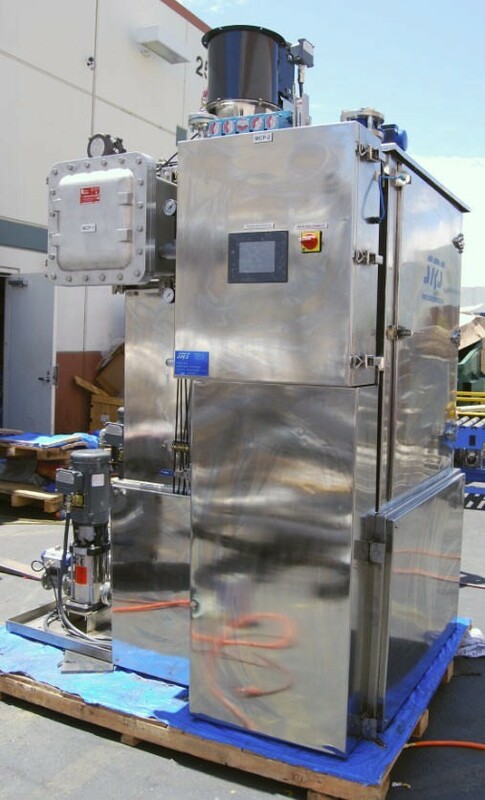 This DW-2 Series washer allowed the organization to work more efficiently and was fully capable of handling any anticipated growth. 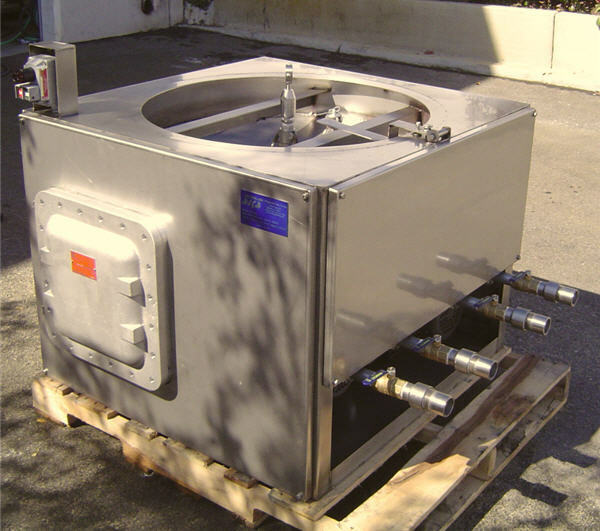 A Real SRS DE Customer Story – An Automotive Resin/Adhesive Manufacturer came to SRS looking for a drum washer to wash the interior and exterior of 30 & 55 gallon drums contaminated with paint coatings and resins. 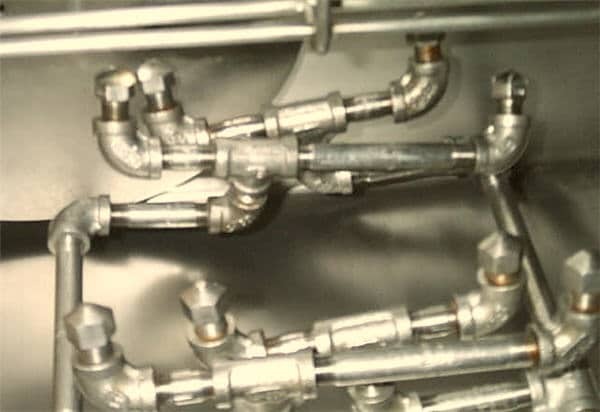 They were washing approximately 80-100 drums per day using an Acetone, MEK, and Toluene Solvent Blend as their washing solution, followed by a virgin solvent rinse to remove any trace materials. The cycle time from start to finish was anticipated or expected to be approximately 5 minutes. 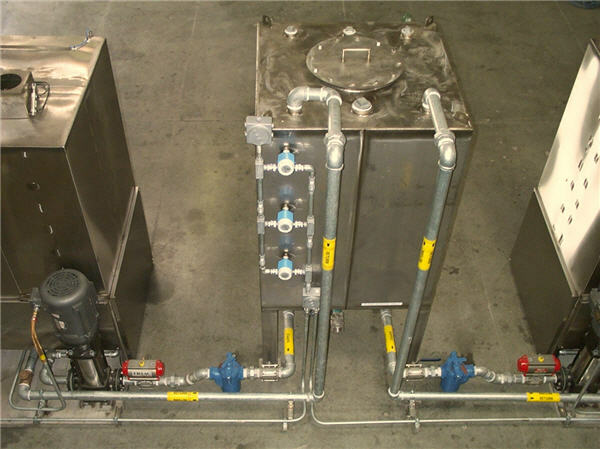 This customer was preparing to add two additional process lines to their facility due to the growing workload. Currently one operator was being employed to wash the drums by hand. 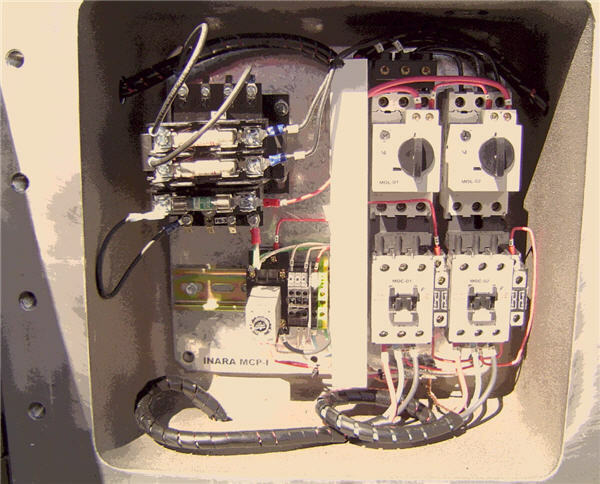 The anticipated growth would have required them to hire two additional operators. 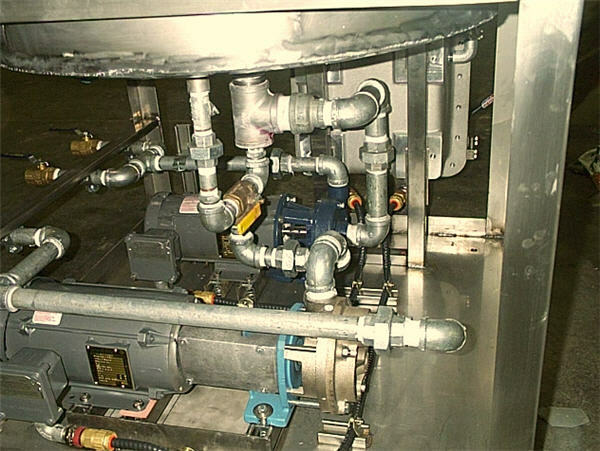 SRS solved this problem by implementing a Completely Automated DW-2C Series washer allowing them to maintain use of only one operator. 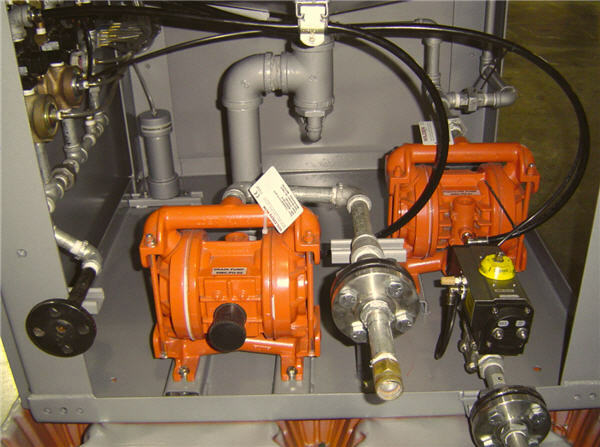 Their DW-2C was designed as a pneumatically operated system which did not require any electrical service and still maintain an explosion resistant operation. 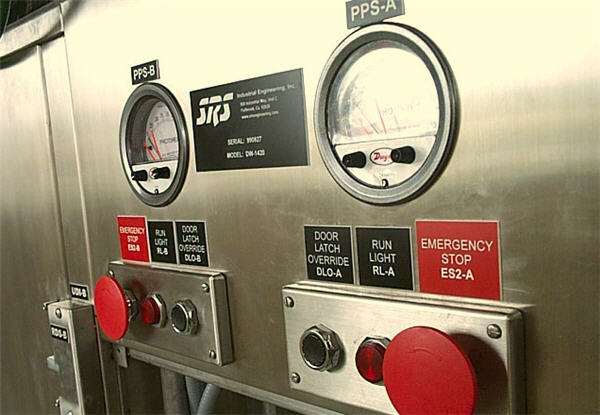 The system was painted with industrial duty epoxy paint and was further enhanced with a door safety sensor that would automatically stop the operation should the door be opened while in operation. 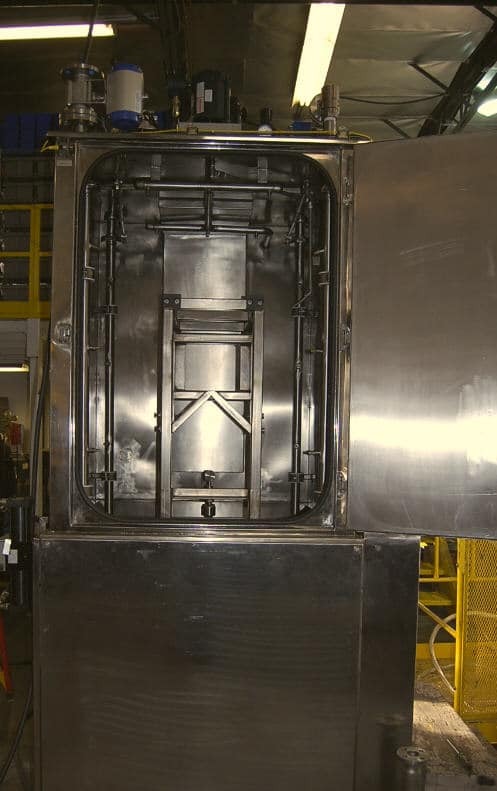 By adding this washer to their work flow, they were able to eliminate the need to hire additional employees which contributed to a significant overall cost savings. 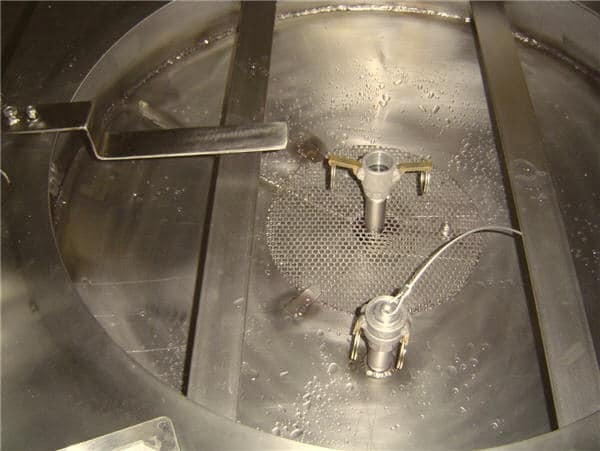 As for the current employee who was washing the drums by hand, he additionally benefited from the washer as he was no longer in direct contact with potentially health threatening solvent vapors. 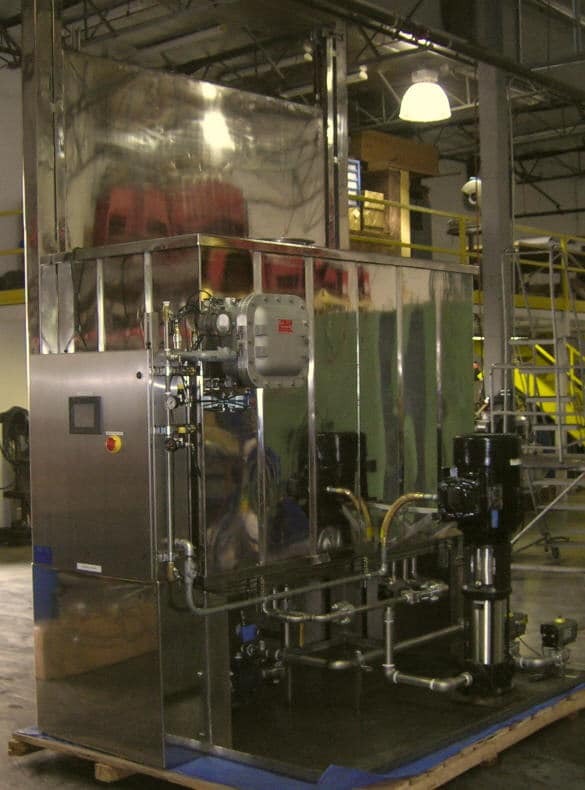 The DW-2C system proved to help this Automotive company with their overall work environment and most importantly their ROI. The customer saw a return on their investment in less than 5 months. 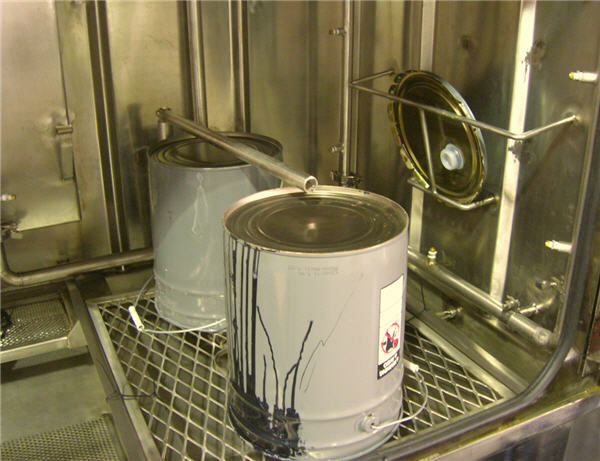 A Real SRS Designed Customer Story – A large paint distributor came to SRS looking for a drum washer to wash the interior and exterior of open and closed top 5, 30, & 55 gallon drums contaminated with epoxy paint residues. 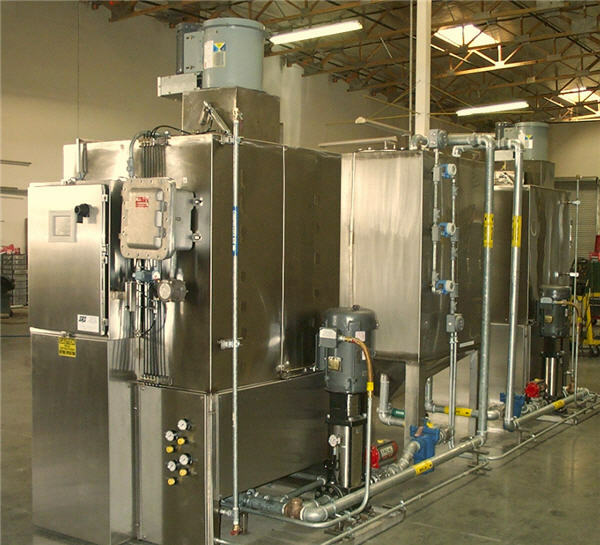 They were washing anywhere from 0-80 drums per 16 hour day using a proprietary solvent blend as their washing solution. The cycle time was anticipated to be approximately 6 minutes from start to finish. 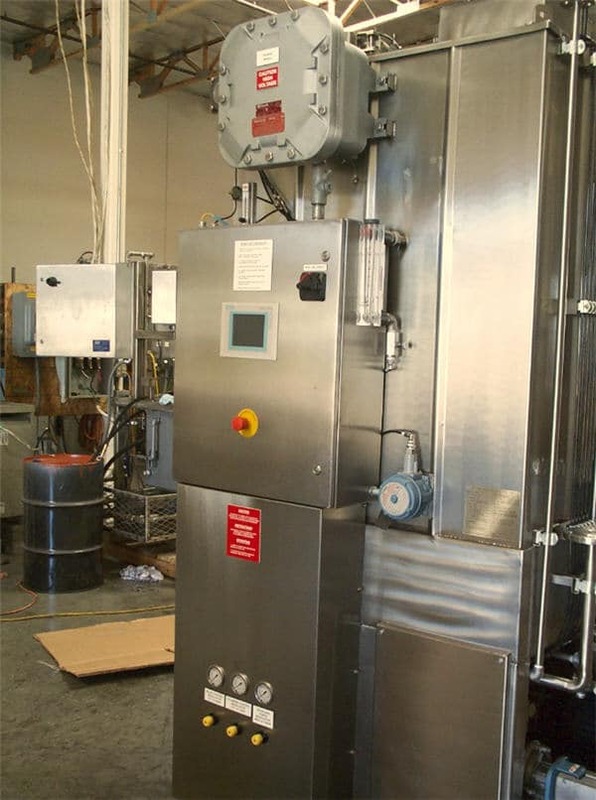 This SRS customer inhabited a brand new plant facility where they were washing and rinsing dirty drums/lids prior to filling them with new paints. 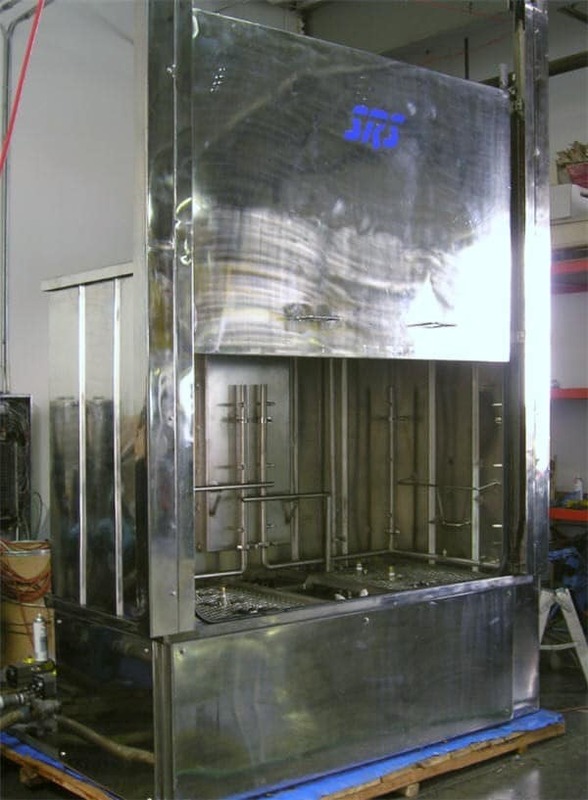 SRS suggested they implement an automated enclosed DW-100 washer to reduce their need to hire more than one wash operator per shift. 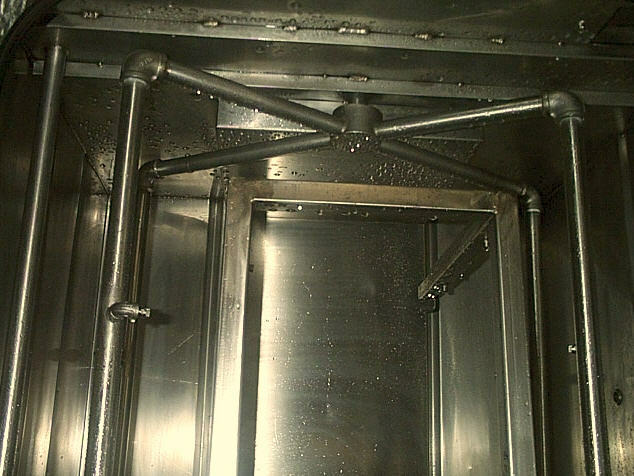 Their DW-100 washer was an electrically operated, high pressure wash system with a vapor purge/exhaust system which was connected to the customer’s thermal oxidizer. The washer was provided XP rated, stainless steel construction, and a customized lid and pail adapter for additional functionality. 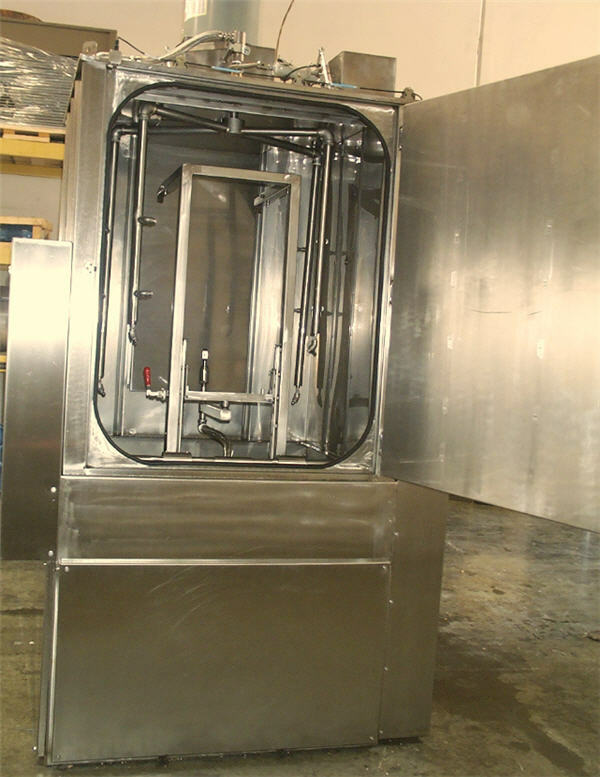 Once the DW-100 washer was installed, the customer was able to work more efficiently and in less than 6 months they saw a return on their investment. They now could wash all of their containers in one 8 hour shift as opposed to the two 8 hour shifts they were currently doing. A Real SRS Customer Story – An Australian waste management and recycling company came to SRS looking for a washing solution to wash their large dirty containers contaminated with various materials such as oils, refuse, and other household wastes. They were washing about 350 containers per 24 hour day. 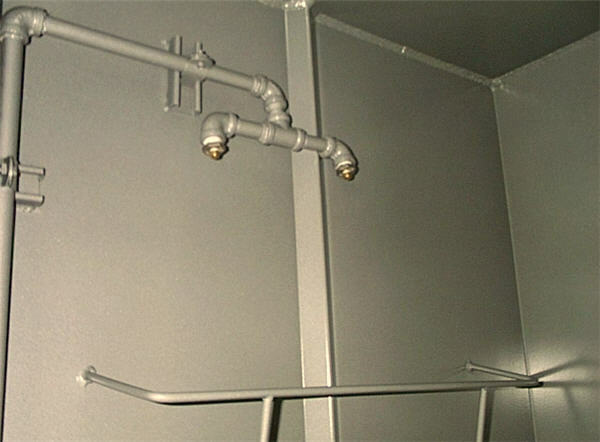 SRS DE designed a multi-container wash rack, the DW-100C, for this organization. 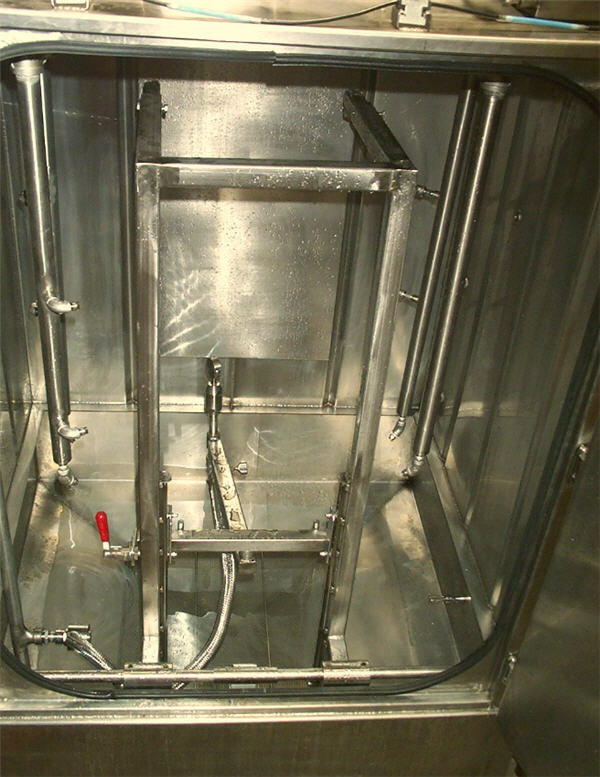 The sturdy stainless steel design allowed them to wash everything from pails, buckets and drums to large wheely totes. 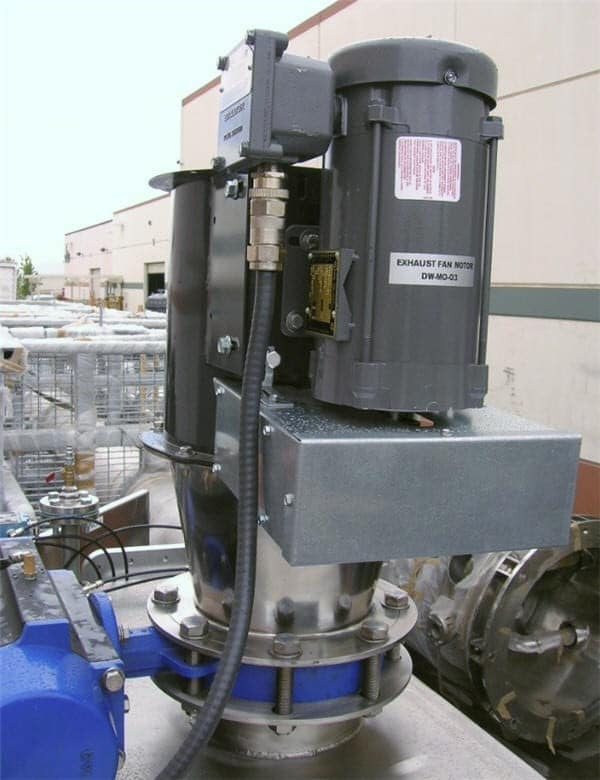 The DW-100C was also equipped with an automatic loading system to prevent heavy lifting by any of the operators. 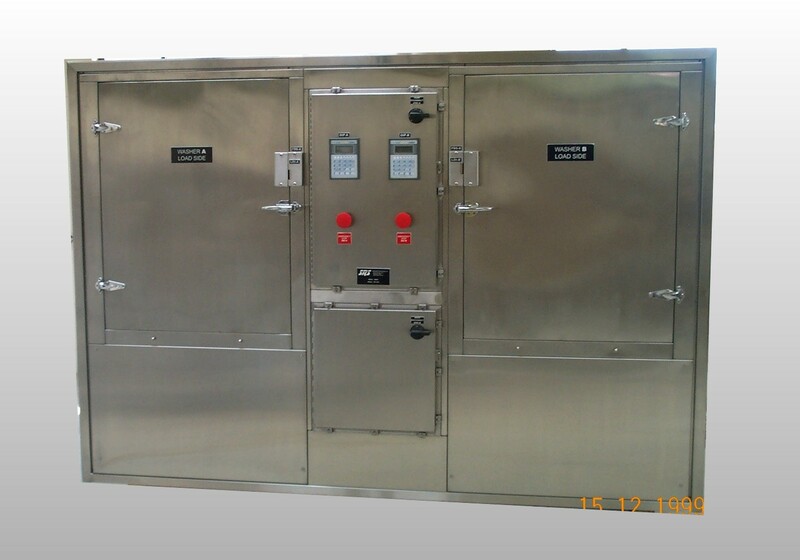 The unit was capable of doing a caustic wash and rinse on both the interior and exterior of these containers. 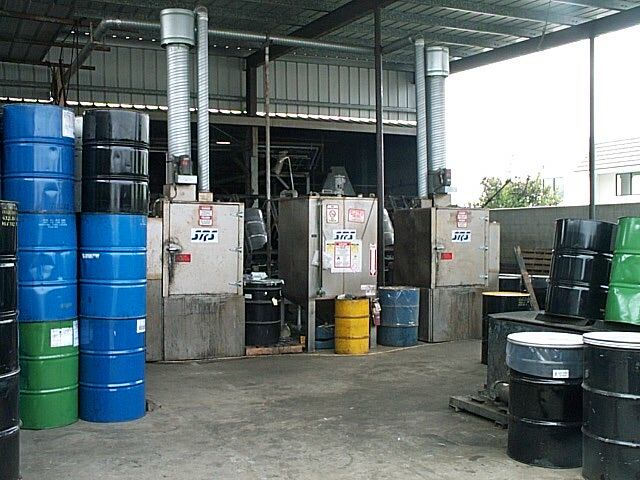 Prior to implementing the DW-100C Washer, this waste management company was washing these large containers by hand which had become quite laborious and time consuming. 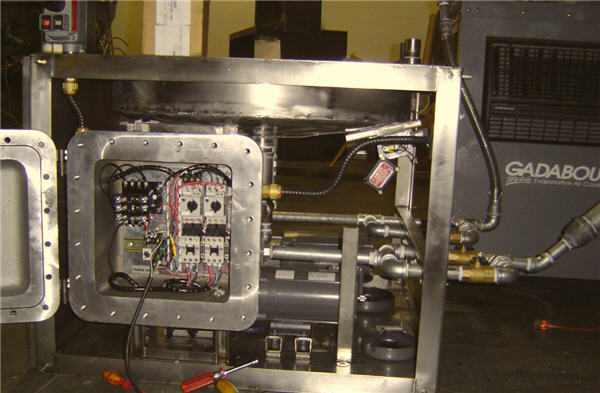 Incorporating an automated washer into their workflow allowed them to increase productivity and accommodate the anticipated future growth. 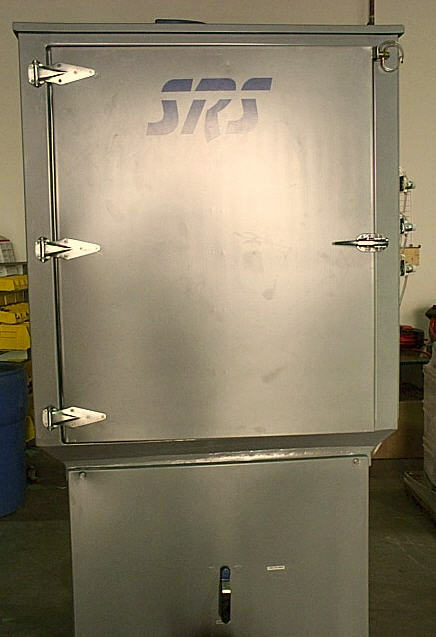 A Real SRS DE Customer Story – A drum refurbishing company came to SRS looking for drum washers to wash their 30 & 55 gallon open and closed top drums. Currently they were washing about 75-120 drums per 8 hour day using acetone to remove the cured paint, resin and unknown residues that were contaminating their drums. SRS recommended two DW-100 washers to incorporate into their workflow. 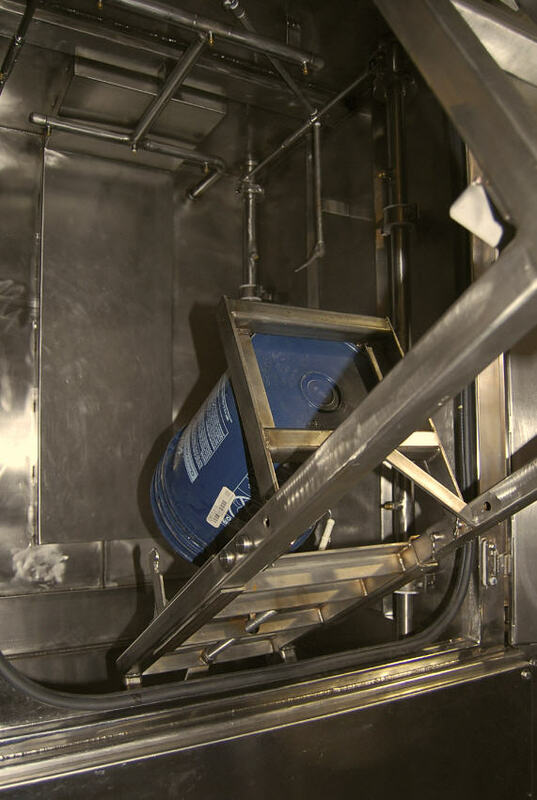 These electrical rated (explosion proof), stainless steel washers contained a recirculating wash cycle which utilized a single 400 gallon tank (ST-400) to wash both the interior and exterior of these 30 & 55 gallon drums. By placing these washers in their facility, they were able to accommodate all of the cured paint and resin drums they received, rather than turning business away as they were previously doing. 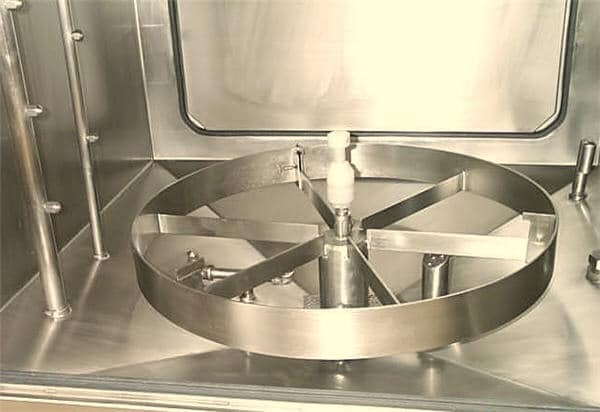 Because of the two DW-100 washers that were implemented, this organization has now become a “one stop shop” being able to accommodate all types of drums. Furthermore, by not turning away any incoming work, the company was able to increase productivity and bottom line profit from jobs previously being turned away. 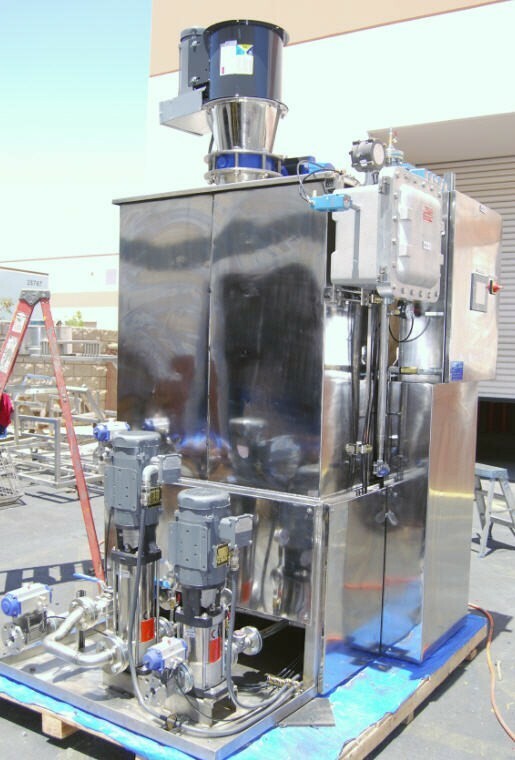 Presently, they are also considering a solvent recyclers to further reduce costs with solvent vapor emissions and solvent replacement costs. 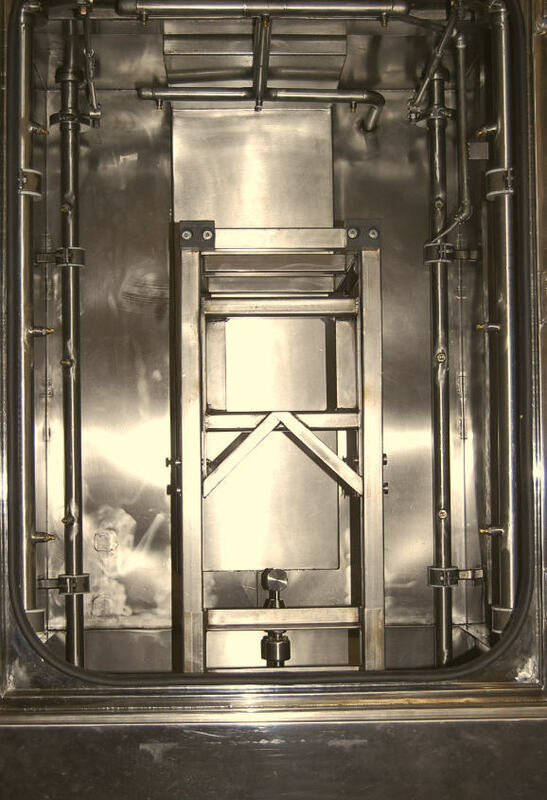 Once this additional unit is added, this will continue to allow the drum refurbishing company to be profitable. 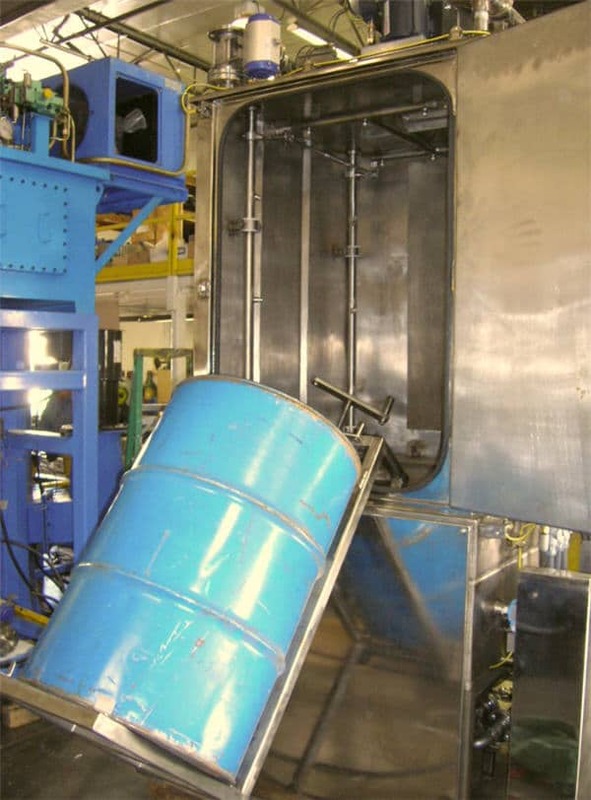 They are today the largest drum refurbishing company in Southern California. 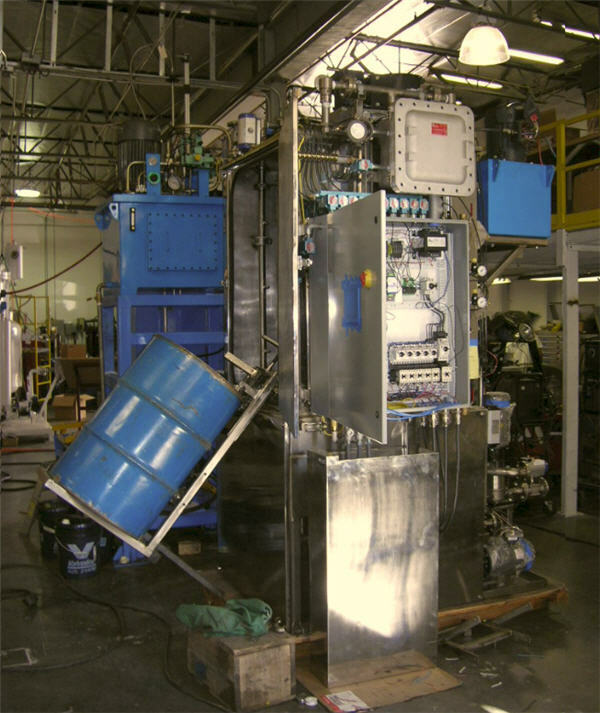 A Real SRS Customer Story – A large US Military base came to SRS looking for a washing solution for their various different containers contaminated with oil, grease, and paint. 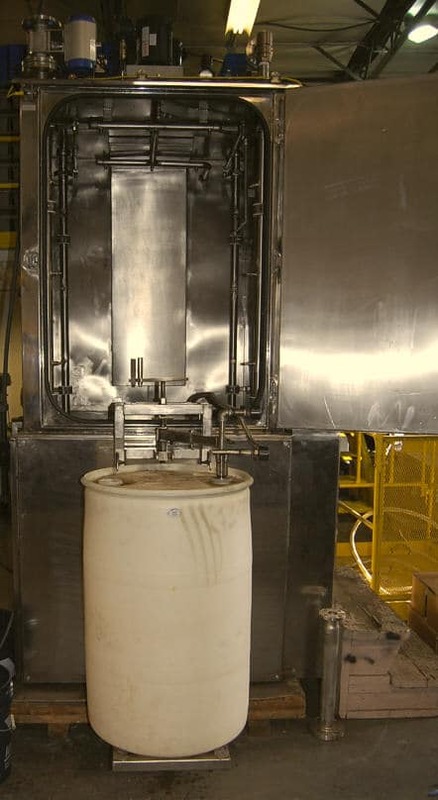 They were currently washing open and closed top 5, 30, and 55 gallon drums and lids using a hot caustic that could be switched over to solvent washing if necessary in the future. 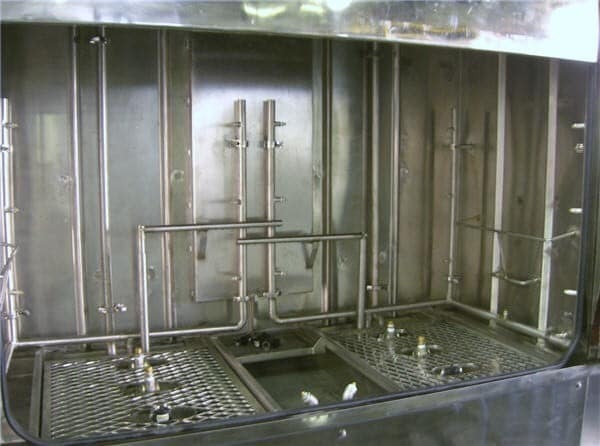 The entire process was quite laborious taking approximately 3 minutes per container to wash anywhere from 100-150 containers in one 8 hour day. 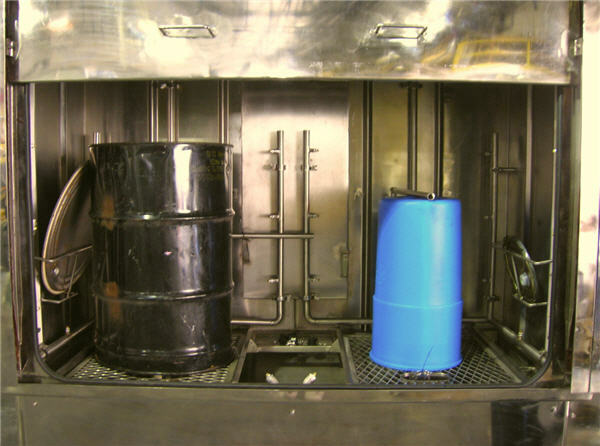 SRS designed a DW-200 drum washing unit to wash the inside and outside of their containers using an XP rated solvent and caustic wash application. 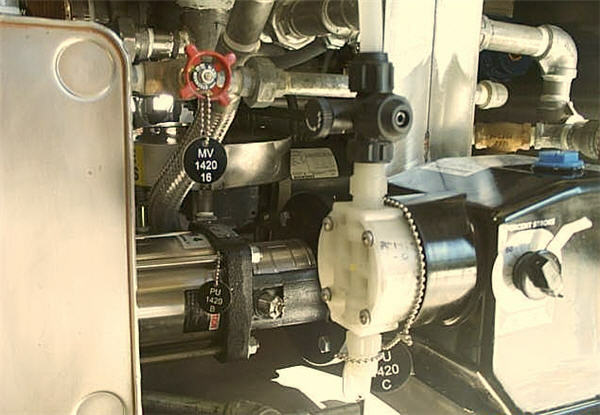 The stainless steel, electrically operated, high pressure wash and rinse system perfectly fit their needs. 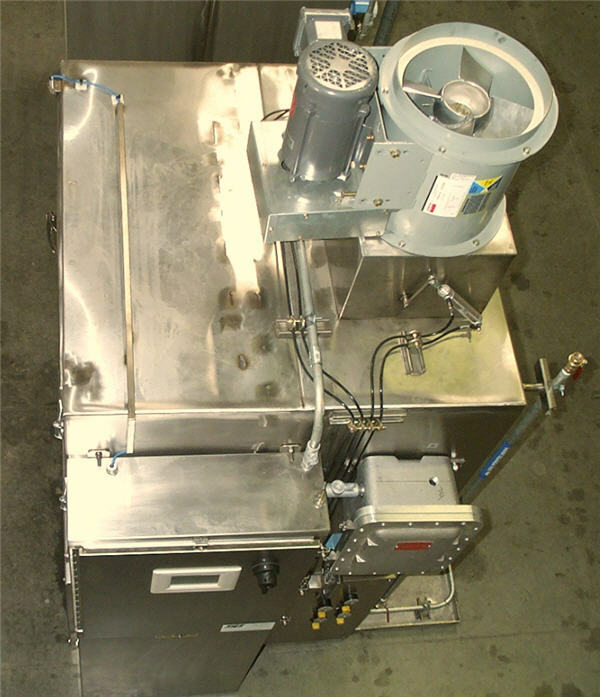 The DW-200 unit used a vapor purge/exhaust system which was connected to the customer’s ventilation system. 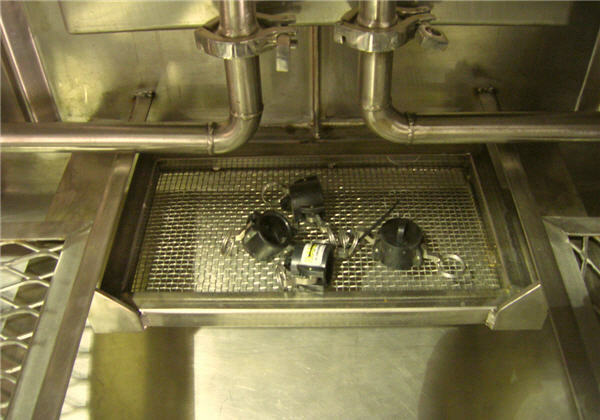 It also had a lid and pail adapter to enable the unit to wash other items aside from their drums. 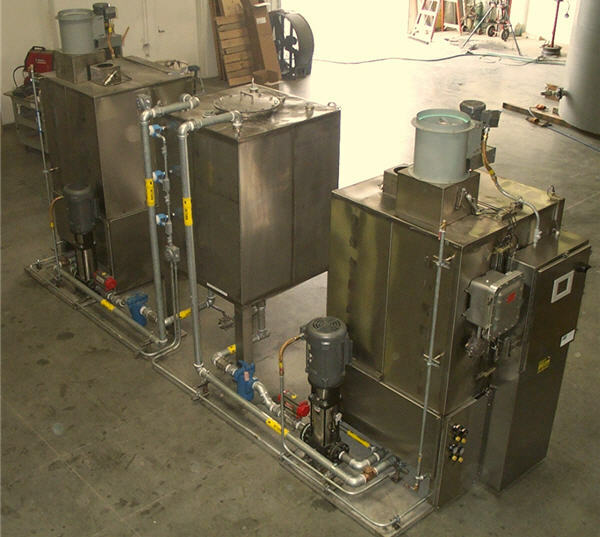 By employing this unit into their workflow, the military base was able to wash more efficiently, allowing them to return the clean drums to the user sites throughout the military base much quicker than before. These drums were returned ready to be reused again. 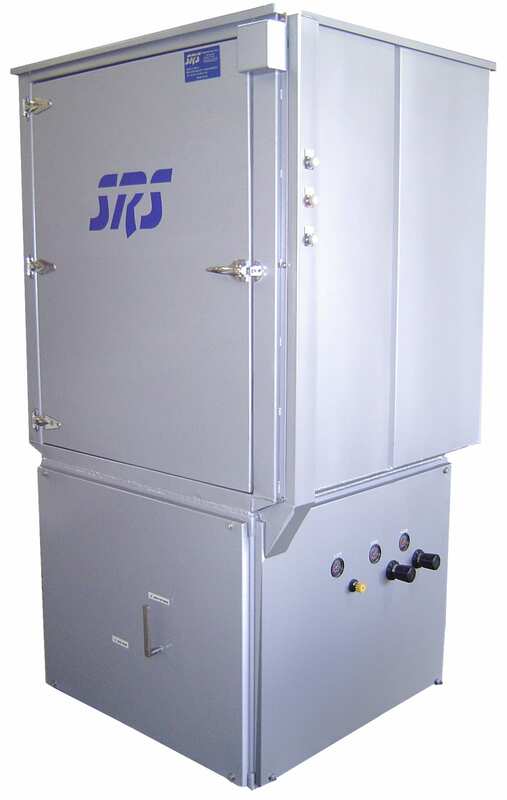 SRS will design a drum washer for any type of washing application. 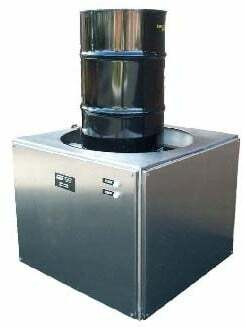 The DW-Series Drum Washer was designed for applications such as 55 gallon drum washing, 44 gallon drum washing, 200 liter drum washing, 30 gallon drum washing, as well as bucket, pail and tin washing. 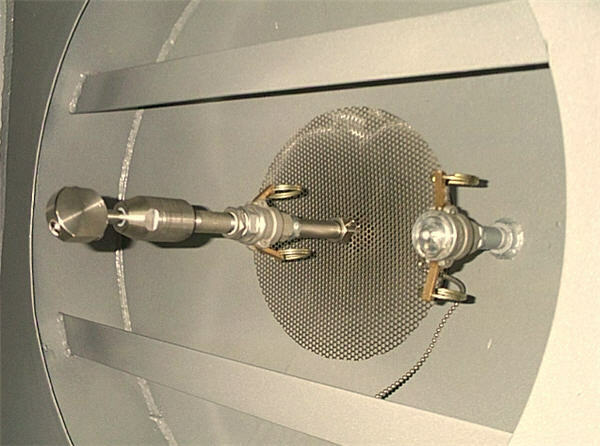 Custom solutions for industrial washing are also available.